Welcome to the SonoSite Institute for Point-of-Care Ultrasound, an in-depth educational resource provided exclusively to SonoSite customers with an active warranty! 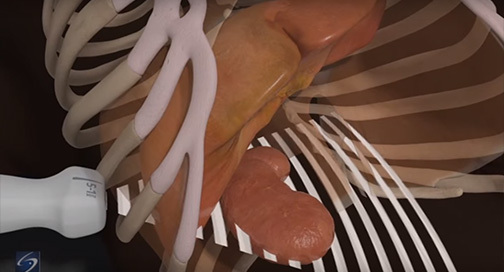 Explore richly designed ultrasound courses that include pre and post-tests to assess your knowledge, linear lesson plans that feature normal anatomy, pathology, and procedures; 3D videos, case studies, webinars, and reference materials. Enhance your skill set, monitor your progress through each course, and earn certificates of completion! Also, explore ultrasound-focused events, a vast eLibrary, and downloadable material that addresses best practices in point-of-care ultrasound. Current SonoSite Institute Members: To access the New SonoSite Institute, please reset your password by clicking on "Forgotten Your Password?" As a member, you have access to a digital database of resources and materials that address the latest applications for point-of-care ultrasound! This valuable exam assesses the trauma patient for internal free fluid collection in the thorax and abdomen. Introducing a new educational experience for SonoSite customers!